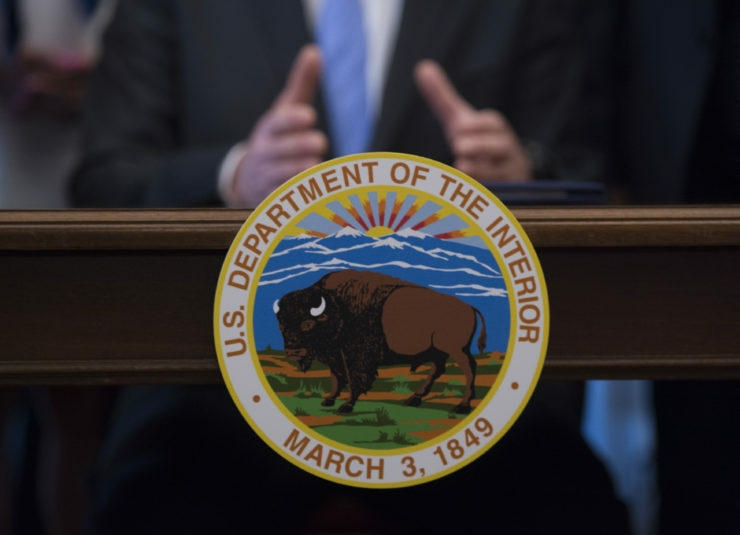 Congressional Democrats want the Interior Department's inspector general to investigate the editing of climate change references from a key report. UPDATE, April 9, 2018: This story has been updated with the inspector general’s response. House and Senate Democrats on Friday asked the Interior Department’s inspector general to investigate whether the National Park Service violated its scientific integrity policy, in response to a report by Reveal from The Center for Investigative Reporting. Drafts of a long-awaited report on sea level rise and storm surge showed National Park Service officials had deleted every reference to humans’ role in causing climate change. The report projects significantly more flooding in 118 coastal national parks if greenhouse gas emissions continue to rise. The editing exposed by Reveal “follows a pattern of climate change information being limited, restricted and censored by the Trump administration,” according to a letter by five Democrats who are members of the House Committee on Natural Resources. “When these scientific and scholarly activities are unduly influenced by political or personal aims, agency policies and decision-making are put at risk,” the letter says. In a separate letter also sent Friday, Sen. Mazie Hirono, a Democrat from Hawaii, and four other senators also asked the inspector general to investigate. At a Senate hearing last month, Zinke told Hirono that his department does not censor science. She and the other four senators want the inspector general to determine who edited the report and who directed them to do so. They also want an examination of what stalled the release of the report, which originally was drafted in 2016. “This delay is particularly concerning given National Park Service Staff would certainly benefit from this information in order to properly plan for and manage some of America’s greatest treasures, as 92 percent of our coastal national parks are threatened by sea level rise,” the letter says. The senators’ letter also asks for any other instances of interference with scientific reports at the Interior Department or other violations of scientific integrity. The other senators who signed the letter are Sen. Tammy Duckworth of Illinois, Sen. Bernie Sanders of Vermont, Sen. Ron Wyden of Oregon and Sen. Catherine Cortez Masto of Nevada. The House letter was signed by Rep. Raul Grijalva of Arizona, Reps. A. Donald McEachin and Donald Beyer of Virginia, Rep. Niki Tsongas of Massachusetts and Rep. Alan Lowenthal of California. Nancy DiPaolo, director of external affairs for the Office of Inspector General, said the office is reviewing the requests. “We take all congressional requests very seriously,” said DiPaolo, who noted that the Office of Inspector General is independent, and works for both Congress and the executive branch. Correction: A previous version of this story misstated a congresswoman’s state and misspelled her name. Niki Tsongas represents Massachusetts.